As CEO’s it is often not so easy to be able to look above our day to day tasks and see our organisations from an external perspective. There are constant demands on our time from our existing customers or staff or suppliers and if all we do is to focus on our “today” or follow the current approach, how are we going to move the business forward? If you don’t move forward, you will get left behind. Business Basics First (BBF) gives you benefit of the knowledge and experience we have gained from decades of working with the corporate giants of our time, translated into a language that makes sense to the SME marketplace. Within its first year, our methodology has already changed the fortunes of many SME’s just like you. Working with the CEO of a group of Dental Surgeries in London, we worked on a Customer Engagement program that they could roll out to their existing customer base. This created opportunities to share more information and stories with their existing customers. A quick win was a campaign to cross sell their services to their existing clients, which saw them increase their turnover to their existing customers by 14%, just 3 months after starting their program with NAC. Working with a firm of Accountants in the Midlands, despite having good experience and knowledge they were finding it a challenge to grow at a decent rate. Following our Health Check, our team worked on a plan which started with the “Productisation” of their services in packages. In the first 3 months of the launch of the new packages, they signed up more clients than they had done in the previous 9 months. This has now lead to the company needing to take on more staff and also having the financial security to increase their business development work. Working with a retailer, as part of a wider Customer Retention program, we introduced an incentive based referral scheme amongst other changes. It took a few weeks to get going, whilst the staff were getting used to the new sales scripts. After 3 months of the scheme being implemented, they were averaging an additional £500 – 1000 a week of sales a week without losing out on any profit margins. We are currently planning for the second stage of the program with them. We are now ready to add your success stories to our growing list – come along to our next session to find out how BBF can transform your business. You will be able to see first hand how our approach is transforming hardworking Entrepreneurs into thriving CEO’s. 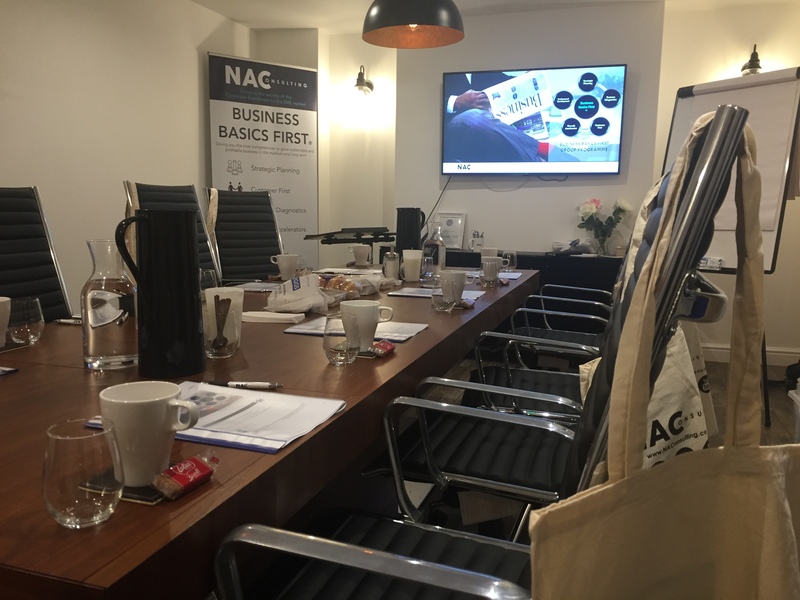 Email us at info@naconsulting.co.uk to secure your place.